Let me start my saying I am no skin guru. Nor did I go to school dermatology or chemistry. I’m simply speaking from my experience and my decisions to make a change. Small, but significant changes. As long as I can remember I’ve used BareMinerals and Purpose soap. It was the only combo my skin would tolerate and stay at ease. Any time I tried something new I would flare up. It could be fancy or drugstore. Nothing worked so I would go back to the two products I could use. I always said “my skin is just a diva, except opposite because I can’t do anything fancy or fun with it.” It was so confusing for me. All these products people claimed would work, never did. I was sick of wasting money and not getting results. I was introduced to a line that claimed to be higher-regulated, safer for consumer use, and with that could come less skin reactions. So I decided to try BeautyCounter’s liquid foundation first since I know for a fact my skin couldn’t tolerate a liquid foundation. A week goes by…no new breakouts. Okay, that’s cool. Then a month rolled by and not only was my skin not breaking out but it was getting clearer. Uh okay that’s real cool. I started using more of their products and simply fell in love. Because of the higher regulation of ingredients in their formulas my skin wasn’t reacting to negative chemicals and was actually being treated nicer, therefore reacting nicer. I completely purged my bathroom closet, throwing out hundred and hundreds of dollars in beauty products. Big names too. NARS, Bumble & Bumble, Dove, Rodan and Fields, Sephora, and the list goes on. I was sick of holding onto products that didn’t work with my skin. My regimen is now at a place where I have a simple, yet lovely daily routine. Let’s get started. When I wake up, I run warm water over a rag, and massage it on my face to help me wake up a bit…and get the gunk out my eyes. You thought I was perfect, I know, but let me break it to you. I’m not. 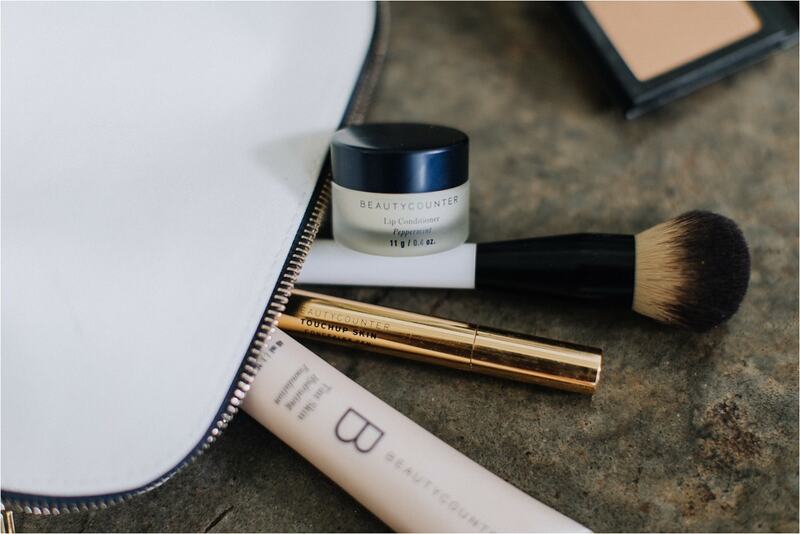 Once I pat my face dry, I apply the BeautyCounter Day Cream liberally. This product is incredible. It feels velvety and like clients have said it’s “literal gold”. 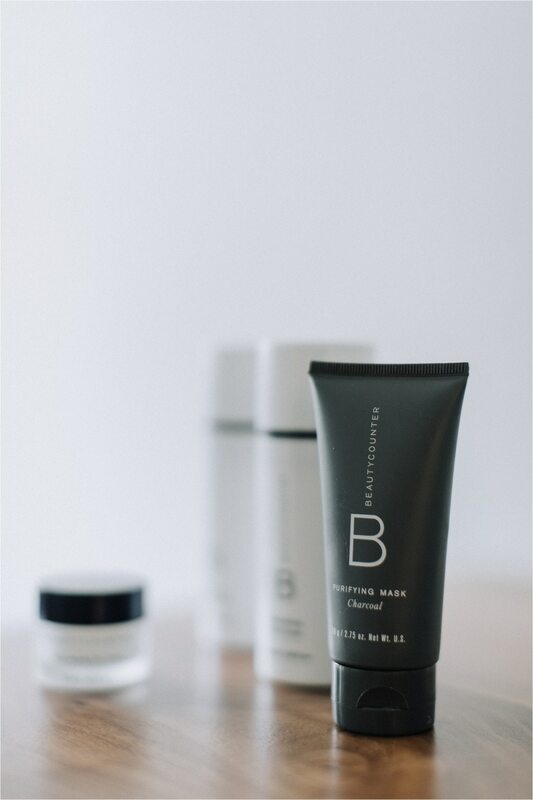 When I’m not using the Charcoal Cleansing Bar (not shown here), I use the Nourishing Cream Cleanser. 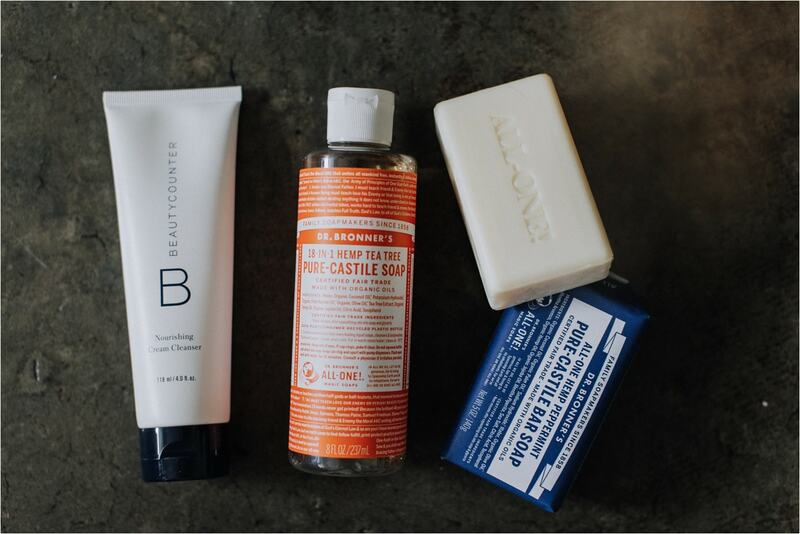 It’s a simple, gentle cleanser good for any skin type. It’s free of any sulfates, carcinogens, fragrances, phthalates and parabens. I love the botanical and essential oils that are made up within it. After I pat my face dry, I apply the night cream all over my neck and face. Sometimes I add in the Soothing Oil (not featured here) to add in extra moisture. If I have breakouts then prior to the lotion I’ll apply the Charcoal Mask on the troubled areas and rinse off after about 20 minutes. This mask is amazing. 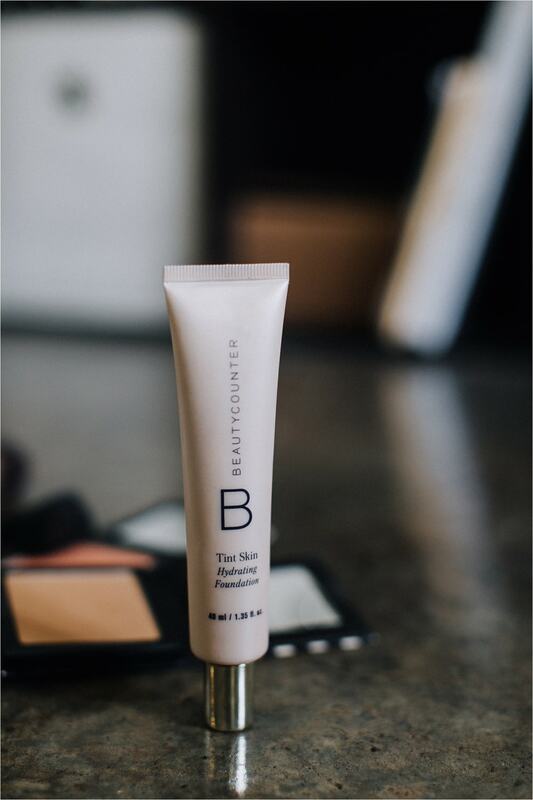 I’ve noticed calmer spots and smoother skin after just one use. To finish off the regimen, I apply the Eye Cream. I don’t use it every night, but when I do I wake up feeling so plump and line free. It’s a good feeling, ya know? I’ve had it for a few weeks and I still haven’t finished using the excess that came on the top lid. I haven’t even touched the jar yet! Clarisonic Mia 2. I just bought this yesterday and can’t wait to start using it. I’ll give my feedback as I progress with the product. Reviews say to allow about a month for your skin to get used to it, but after that point apparently it’s a miracle maker on pores and scars. 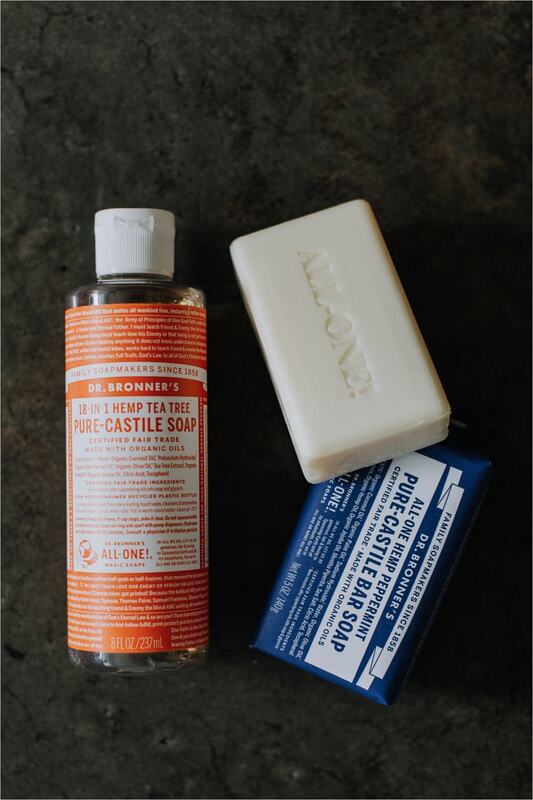 I’ve been using Dr. Bronner’s for a few months now. I absolutely love their products. They are simple, safe, affordable, and honest. 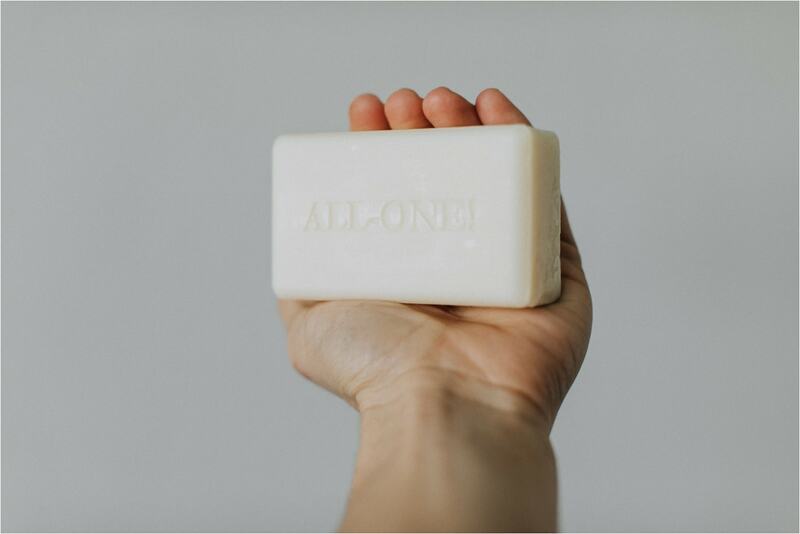 I’m currently using the Almond Bar as my body wash and my husband can been using the Hemp Tea Tree Castille Soap. I use the liquid to wash my makeup brushes as well. Both products have an incredible lather and leave my skin moisturized. I’m still wading through hair options. 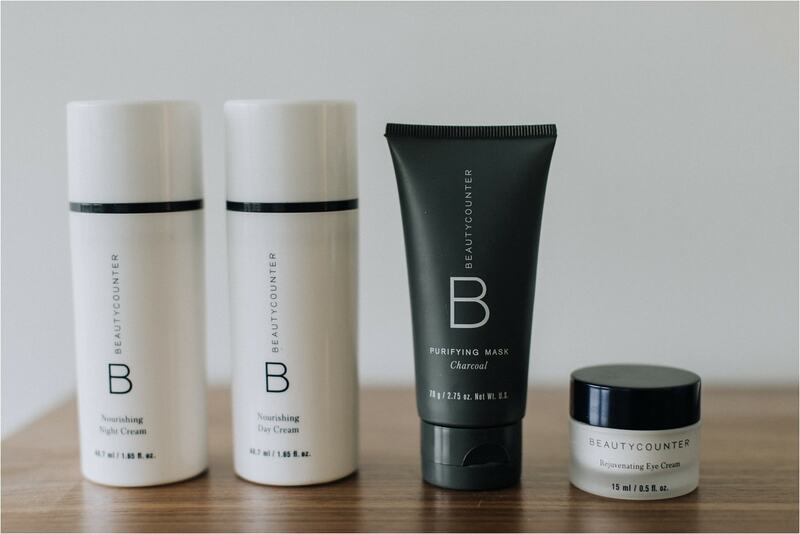 I’ve used the BeautyCounter adult shampoo but it was a bit too moisturizing for me. I had to wash my hair the next day. I like my hair to feel clean and dry, but my husband uses it and loves it! Especially for his scalp issues. I’ve tried washing with baking soda and using an apple cider mix as the conditioner. Surprisingly this works great! It’s just a little bit inconvenient. This has kept my hair clean for 3 days as a time which is awesome, but I was warned that it could cause damage on my hair down the line. A few nights ago I gave the BeautyCounter Kid’s Shampoo a try and that actually works great for me. It’s not a cream based shampoo like the adult version. It is filled with citrus essential oils and smells energetic. My goal is to stick with this for a little while to see how sustainable it is and how long it lasts. In the cleaning out of my closet, my styling products were the hardest to get rid of. I love hairspray. Like love it. So, let me be honest and say I haven’t ridded my closet of my hairspray quite yet. 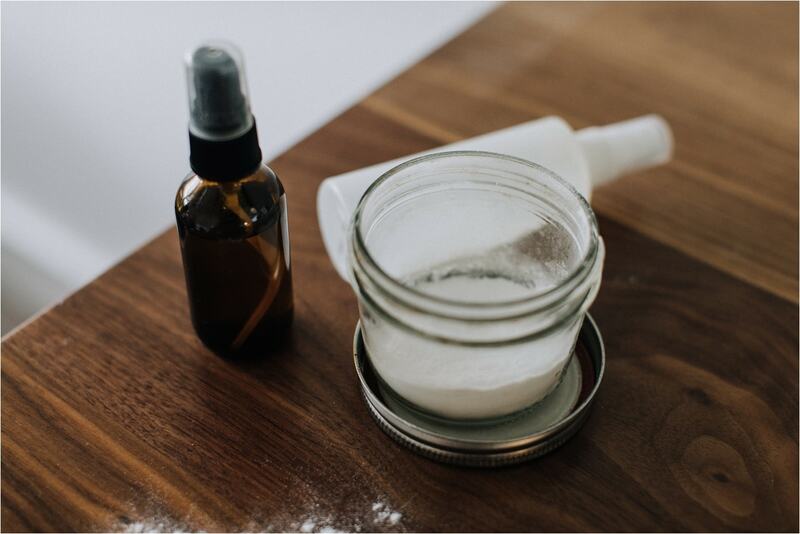 I created a salt spray to see if I liked the texture it created. 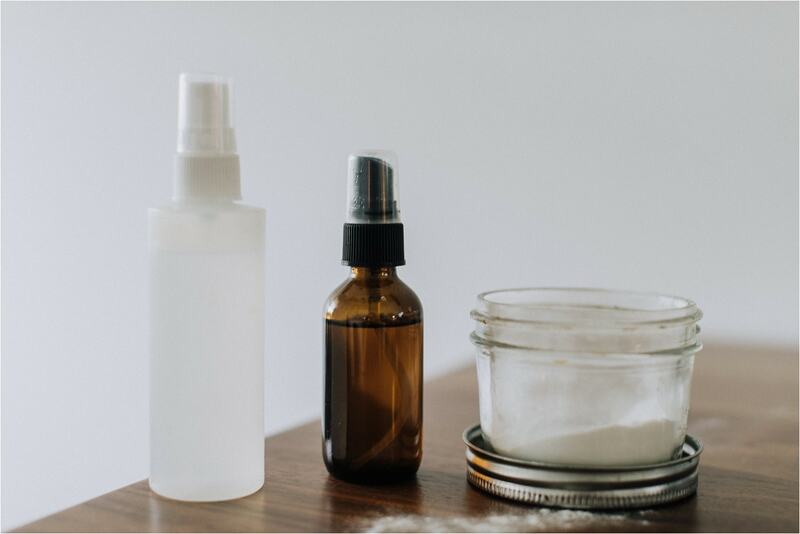 With the bottle of a product I dumped out, I filled it with warm water, a teaspoon of epsom salt, about a tablespoon of table salt, and a little bit of citrus essential oils for fragrance. So far, I’ve liked the texture it creates and it smells awesome. I would just be careful to not over spray! The epsom salt gives it a drier texture so if you don’t want that result then don’t add in the epsom salt. Long before I purged my bathroom closet after learning about the lack of FDA regulations in skin care products, I stopped wearing deodorant. After wearing the same deodorant for years, my body started to reject it. My arm pits welped up, itched, and burned. When I would take a bath, it was like I couldn’t clean the deodorant off. So I stopped cold turkey. It was rough for a months since my arm pits had to detox, but after that they were back to normal. A few months later that I saw just how terrible normal deodorant is for us. Aluminum is literally clogging your pours so you stop sweating. It’s so backwards and unnatural. Sweating is a natural way for your body to cleanse and cool off. 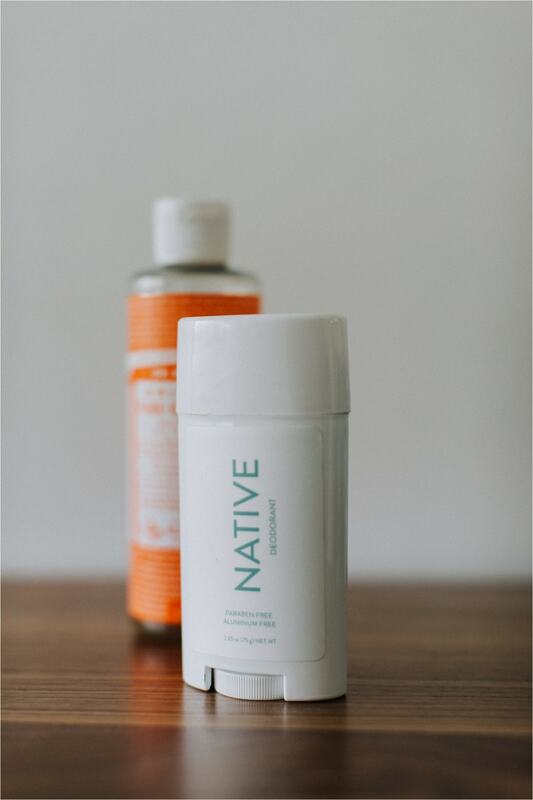 My journey to finding a natural, well-working deodorant has been an annoying one. I’ve tried Tom’s and Desert Essence, but neither really helped with body odor since I workout hard most days of the week. A friend then told me about Native Co out in California. I bought their Jasmine and Cederwood bar to test out. So far, so good. 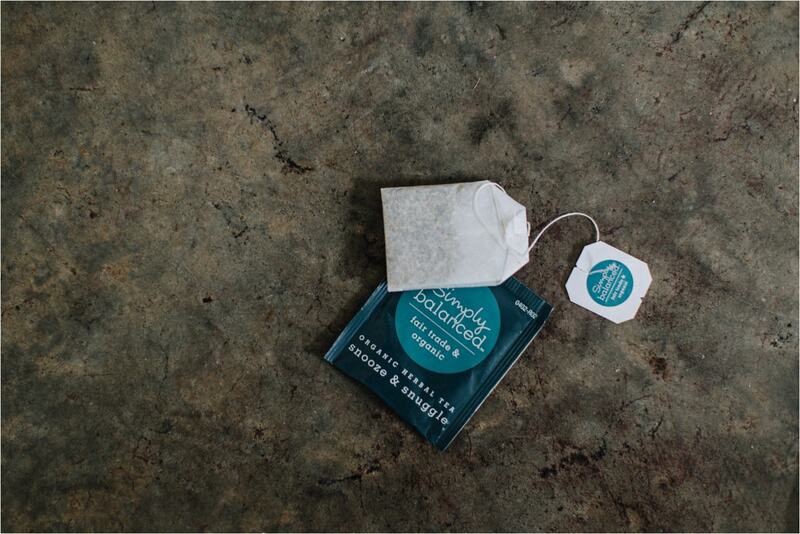 It keeps the lovely odor at bay and smells naturally delightful. I would highly recommend it. When I purchase again, I’ll likely get the Coconut Vanilla scent. Everyday I put on the Tint Skin, blush, bronzer, brow pencil, and lip conditioner. Honestly, I love applying it even when I’m not leaving the house because it just feels so great on my face. It smells fresh and feels light. I like a lighter coverage foundation and this one is perfect for my needs. 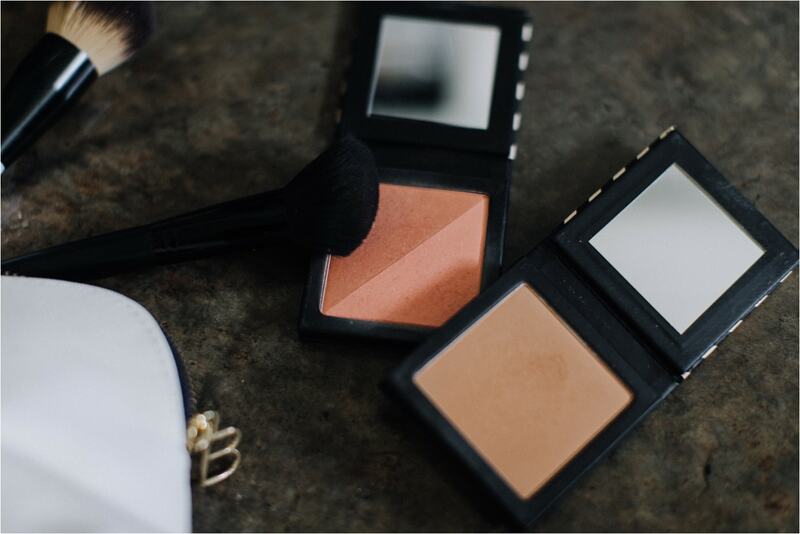 To set the foundation, I apply a translucent setting powder to give it a matte look. I sleep terribly. Partly because I love working late. This leaves me staring at a screen for hours until way too early hours, then trying to put my brain to sleep after that. Yeah…not a good system right there. I’ve recently been taking some larger measures to get better sleep. It goes a little something like this. I take a warm/hot bath. 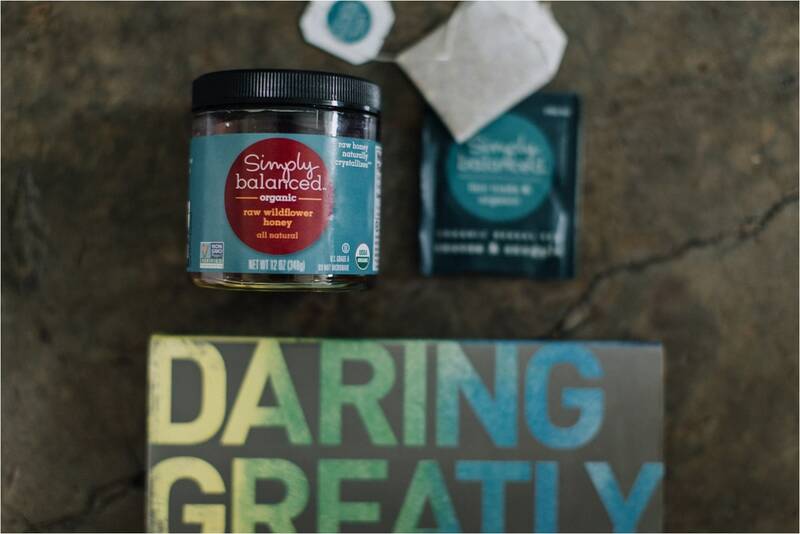 Soak for a little while, listen to some tunes, and make a cup of soothing tea. The one I just started using is Target’s Snooze and Snuggle. Before getting into bed, I rub my feet and spine down with lavender and peppermint essential oils then put socks on my feet so it doesn’t get everywhere. As I’m soaking in the oils, I read a bit out of my current read, “Daring Greatly”. I try my hardest not to get on my phone or watch Netflix till I fall asleep which is a bad habit that’s hard to break. On nights I’m still feeling wired, I’ll take 5-HTP which is a vitamin that helps produce Melatonin and Serotonin in your body. 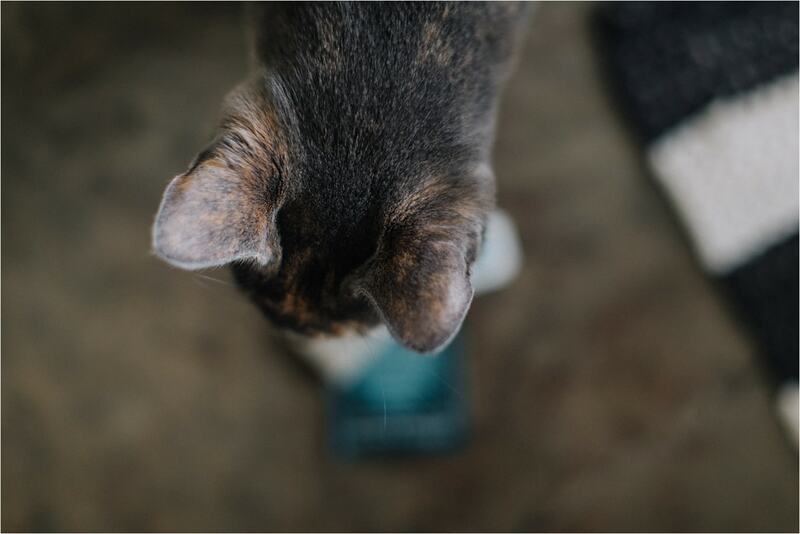 I would love to hear about your routines and regimens. Have you ever heard about the lack of regulation the US FDA has on our cosmetics? It’s startling. I decided to use my money towards a vote yes for healthier, safer beauty options. 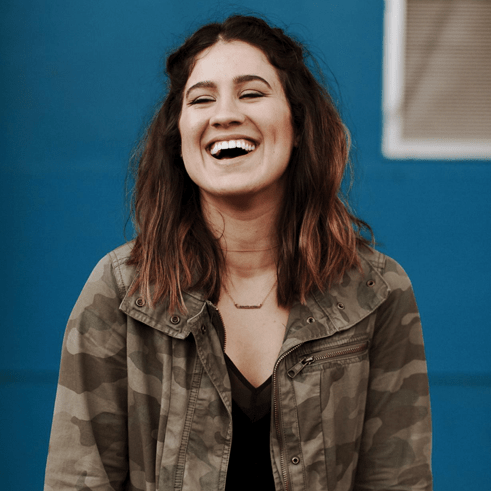 I would love to chat further with you about it!